Caren K. Lock is the Regional Vice President and Associate General Counsel of TIAA. In her role at TIAA, Caren is the primary interface for the company on all legislative, executive, administrative, and regulatory matters in the southwest and mountain regions. She also directs all legislative lobbying and regulatory advocacy in her states. At the company, Caren is active in gender and racial diversity initiatives. She was the former Corporate Co-Chair of the Women’s Employee Resource Group and is currently a member of the Denver/Broomfield Leadership Council and Dallas Leadership Council. Prior to joining TIAA, Caren was General Counsel with a consumer financial company. Before entering the corporate world, Caren spent over a decade litigating complex business matters including copyright and trademark infringement, employment discrimination, shareholder and partnership disputes, aviation, and toxic tort. 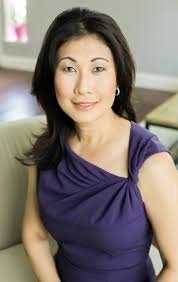 Caren is the Board Chair and a member of the Executive Committee at the Dallas Women’s Foundation. Caren is also an Exective Board member of the Texas State Bar College. Previously, she has also served on the Boards of Girls Inc. Metropolitan Dallas, Dallas Bar Association, State of Texas Asian Pacific Interest Section, and was President and former Board member of the Dallas Asian American Bar Association, and the Center for Nonprofit Management in Dallas. Caren is also a member of The Dallas Assembly and a graduate of The Leadership Dallas Program. From 2008 - 2013, she served on the Texas State Bar Grievance Panel and was Chair of her panel. Caren co-founded The Orchid Giving Circle that provides community grants to support social change and services to the DFW Asian Community. Caren is a frequent speaker on racial and gender diversity, nonprofit regulatory issues, legal ethics and grievances, generational dynamics, and community and political engagement. She regularly presents at legal continuing education courses for the local and Texas bar organizations. In her spare time, she volunteers at the Cancer Support Community (formerly Gilda’s Clubhouse) teaching yoga to cancer survivors and their families. She resides in Allen with her husband, Michael Bahar, and her two sons.